Hyundai is running on some momentum right now! Despite the partial government shutdown and arctic temperatures for much of the nation this past January, the first month of 2019 was still a solid one for Hyundai Motor America. The company reported January 2019 sales of 40,796 units, that’s a three percent increase from January 2018. SUVs made up the bulk of those sales! Speaking of SUVs, Hyundai has begun delivering its NEXO Fuel Cell SUV. 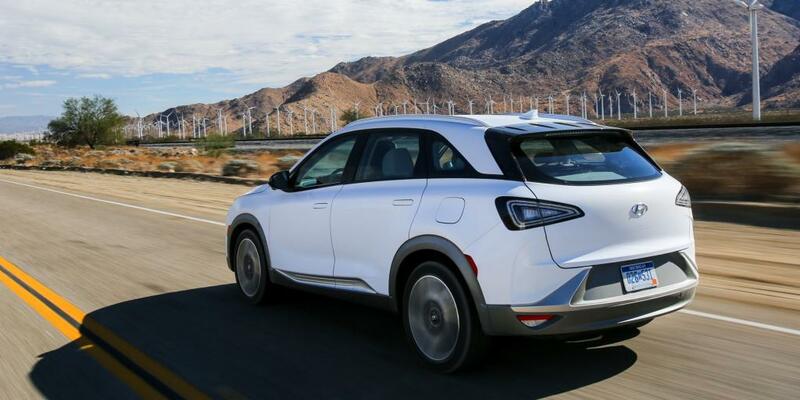 The zero-emissions SUV is capable of going up to 380 miles after just five minutes of charge! That’s enough to drive from Los Angeles to San Francisco nonstop -- talk about efficient! Continue reading for more on the fuel-cell technology powering this new SUV. The NEXO is the only mass-produced fuel cell SUV for the U.S. market. Although its sales are limited to California, there’s plenty of people who would love to get their hands on one! 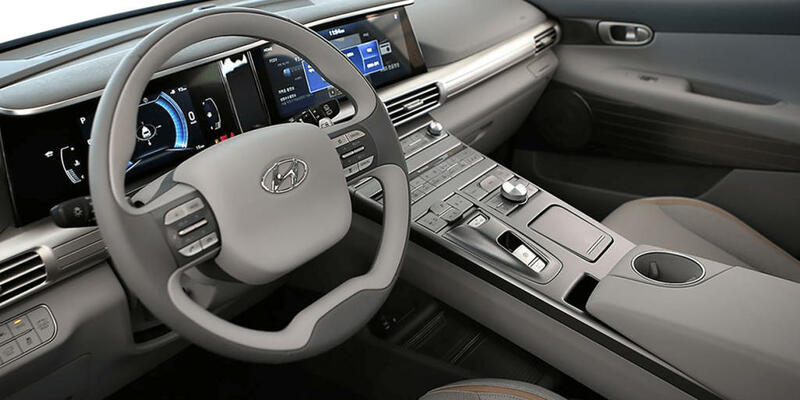 “Nexo is our technology flagship, featuring next-generation connectivity, safety, design, and luxury,” writes Hyundai on its website. The NEXO Blue model has an estimated range of up to 380 miles. That’s 115 more than the previous Hyundai Tuscon Fuel Cell Electric Vehicle, which the NEXO replaced. The NEXO Limited trim, meanwhile, has an estimated range of 354 miles. NEXO refueling time can be achieved in as little as five minutes, which Hyundai loves to point out! In terms of range and refueling speed, Hyundai says it allows a consumer lifestyle similar to a comparable gasoline-powered SUV. There are a number of hydrogen fuel stations located in California, where the vehicle is available. There’s even a station as far north as Santa Barbra and as far south as San Diego. What also attracts people to this vehicle, is the fact that it only emits water. 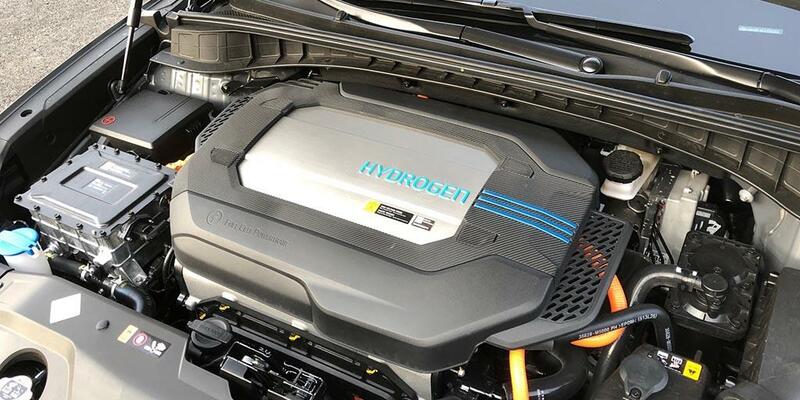 In case you were curious, fuel-cell vehicles use gaseous hydrogen from the fuel tank and oxygen from the air intakes to generate electricity for the motor through an electrochemical reaction. It’s clean and Hyundai assures customers it’s also safe, even safer than using gasoline as a fuel source. To help further ensure safety, Hyundai also notes the fuel is stored inside incredibly durable carbon-fiber tanks, tested to withstand extremes of both heat and pressure. Hyundai also likes to point out the safety features you get with this vehicle. NEXO offers a number of advanced driver assist systems, including Forward Collision-Avoidance Assist, Lane Following Assist, Driver Attention Warning, and High Beam Assist. There’s also a convenient Remote Smart Parking Assist feature, which enables NEXO to either autonomously park or retrieve itself from ether a parallel or perpendicular parking space with or without the driver in the vehicle. The NEXO SUV is offered in four exterior colors: White Pearl, Cocoon Silver, Dusk Blue, and Copper Metallic. There are some perks to owning a Hyundai NEXO SUV! While this vehicle is only available in California, the state offers residents a clean vehicle rebate of up to $7000 (depending on income) when you purchase or lease one. You’ll also enjoy complimentary fuel for three years or $13,000 maximum. If you happen to run out of fuel on the road, all you have to do is call Hyundai’s 24/7 Roadside Assistance program and you’ll be towed to the nearest hydrogen fuel station. Less to worry about! In December, Hyundai announced it had delivered its first NEXO SUV in the United States market. It was purchased by a former scientist eager to add the benefits of the zero-emissions vehicle to his environmentally-friendly lifestyle. Customer Todd Hochrad of Ventura, California picked up his new SUV at Keyes Hyundai. More than 15 years ago, he purchased his first hybrid car and over the years has driven dedicated electric vehicles as well. His new NEXO will deliver about five times the driving range of his first all-electric car. Talk about an improvement! Hyundai later announced it was celebrating its first delivery of a NEXO SUV in Northern California. An obstetrician/gynecologist named Dr. Steven Vo purchased the vehicle in February. Hyundai reports there were 35 sales of the NEXO in January 2019. As for the cost of one of these NEXO SUVs, a Blue model can be leased for $399/month for 36 months. The Limited model will run you $449/month for the same lease length. The first year of maintenance, meanwhile, is free of charge and customers are also eligible for that tax credit from California. Hydrogen fuel cards will also be provided to you, for use during the first three years of vehicle ownership. If you’re interested in the vehicle and live in California, you should definitely send over your information sooner rather than later to Hyundai. That’s because a limited number of models are available! 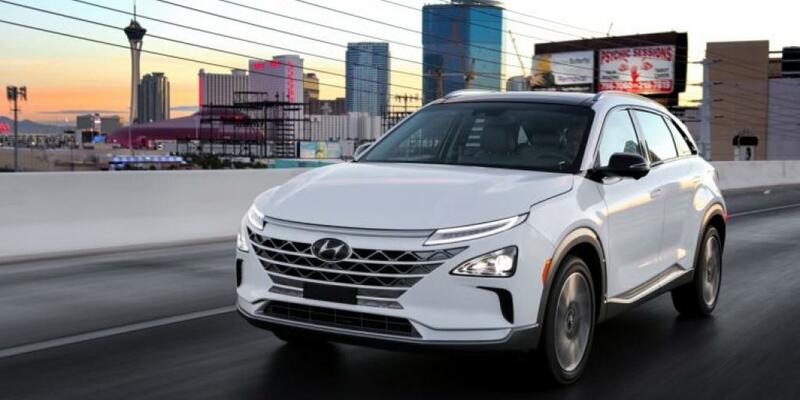 As Hyundai begins delivering its zero-emissions NEXO SUV to customers passionate about the environment, Hyundai’s other SUVs are proving to be the company’s bread and butter. For example, Hyundai sold 21,007 SUVs in January 2019, representing 51 percent of the total sales volume. That was an all-time January SUV sales record, an in crease of 37 percent compared with January 2018. The Hyundai Kona, recently named North American Utility Vehicle of the Year, sold 5,696 units. That’s the third highest monthly total ever! Santa Fe total sales grew by two percent, while retail sales of the model were up 20 percent. Hyundai also recently flexed its SUV muscles by having its Palisade SUV appear in a Super Bowl commercial.